Lawyers for former top White House aide Michael Flynn have told Donald Trump's legal team they can no longer discuss the investigation into alleged Russia interference in the 2016 US election, media reports say. 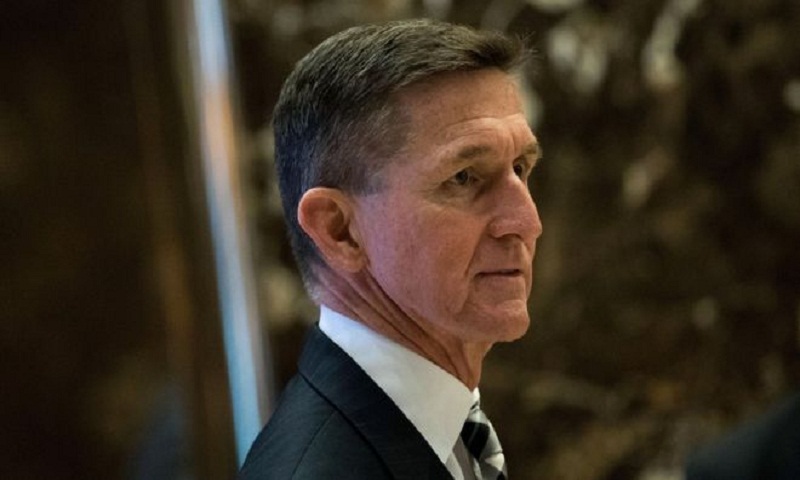 The move suggests Mr Flynn may be cooperating with prosecutors, The New York Times and CNBC reported. Special counsel Robert Mueller is looking into any links between Russia and the Trump campaign. Both deny there was any collusion. Lawyers for Mr Flynn, who is a key figure in Mr Mueller's investigation, had been sharing information about the probe with President Trump's legal team. The New York Times, citing four unnamed people involved in the case, say this cooperation agreement has now ended. CNBC say they have confirmed the move. It indicates Mr Flynn may be cooperating with prosecutors or may be negotiating a deal, reports say. This is because lawyers must stop sharing information when one client is cooperating with prosecutors and another is still under investigation. Mr Flynn resigned as President Trump's national security adviser after just 23 days on the job over contacts he had made with Russia before Mr Trump took office. The controversy surrounding alleged Russian interference in last year's election has hung over the Trump administration since earlier this year, when US intelligence agencies said the Russian government sought to help Donald Trump win. Congressional committees were set up to investigate the matter and, in March, then-FBI director James Comey confirmed the bureau had its own inquiry. President Trump later sacked Mr Comey, citing his reason as "this Russia thing", in a move that shocked Washington and fuelled claims of a cover-up. However, it did not halt the investigation. On 18 May, the department of justice appointed Mr Mueller as special counsel to look into the matter. Last month, it was reported that the first charges had been filed in the investigation.